Situated in Raigad province of Maharashtra, Panvel is a prosperous city with abundant splendid forts and colossal havelis depicting the ancient architecture. The town is well renowned as the gateway to Konkani district, especially among locals. Panvel is quite an old city. It is believed that its earliest settlement took place around 300 yrs ago and thus it has immense historic significance. Even today, the place holds onto its roots and its absolute charm, thus representing a perfect fusion of modernity and old civilization. The place is one amongst the popular tourism destinations in India. You can see huge influx of visitors all round the year. Due to its thriving trade centers and well developed trade routes, whether on land or on sea, it attracts trade merchants to make a special mark in this region. With time the city is spreading its wings and becoming even more modernized. Now days you have numerous tourist spots, namely Elephanta Caves, Karanala, Balaeshwar Pali temples, Haji Malang, Varadavinayaka temple, Karjat and the famous bird sanctuary that one can visit, while vacationing in Panvel. However, the major attraction of the region is its forts and havelis, which have the same princely charisma and magnificence imprinted on their walls and doors. 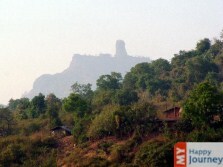 Among which the Karnala Fort is the most famous and has a special place in the heart of people. There is a beautiful bird sanctuary as well, which has around 150 different kinds of birds and varied species of migratory birds in its premises. On the other hand, it’s good network of roads help visitors to reach the city without any difficulty.